The Student Council for Exceptional Children-NEIU chapter is a not-for-profit student directed organization that supports the mission and beliefs of the National Council for Exceptional Children. SCEC has been recognized as an organization that helps the underserved community of individuals with exceptionalities. The members of SCEC are dedicated to improving educational outcomes for individuals with disabilities and/or the gifted. SCEC is comprised of aspiring service workers such as teachers and social workers who advocate for appropriate governmental policies, set professional standards, and even provide guidelines and expectations for continual professional development. The SCEC here at NEIU hopes to transform SCEC to be a more active, involved, recognized, and informed chapter both on and off campus. We want to use our enthusiasm and energy to better the lives of children with exceptional needs as well as educate others about the lack of advocacy this unique population receives in our community and across the nation. 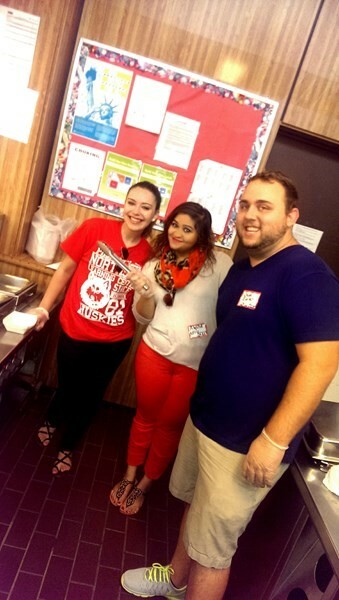 SCEC members hanging out: Joselyn Badillo, Alysha Gillani, Chad Ziarko (from left to right). We believe that it is important to get involved in our community. Just recently SCEC participated in the Northside Learning Center (NSLC) High-school Annual Picnic. Northside Learning Center is a transitional high school serving students with cognitive disabilities. Our partnership with NSLC has been a privilege for the Council. SCEC at NEIU further supports the national mission by addressing special education issues of the students and the community by attending conventions, hosting fundraisers, and participating in community services projects throughout the academic school year. The NEIU-SCEC sponsors colloquia with guest lecturers to discuss important topics in special education. In the past, we’ve held a variety of fundraisers. We host an annual art show that features art made by students with exceptional needs. SCEC is a great opportunity for professional development as well as for meeting other professionals in the service and teaching fields. SCEC is perfect for building your resume through volunteering and being part of a national organization for teachers. In addition, SCEC is a fun organization where learning happens in the process of becoming a future leader in the community. If you are interested in joining, meetings take place every other Thursday in LWH 4001 during activity hour, 3-4 pm. Come and stop by on Oct. 9 to say hello and introduce yourself to a council of aspiring leaders.